Ramanujam believes she can replace at least two of these requirements. Her laboratory has developed an all-in-one device that resembles a pocket-sized tampon with lights and a camera at one end. 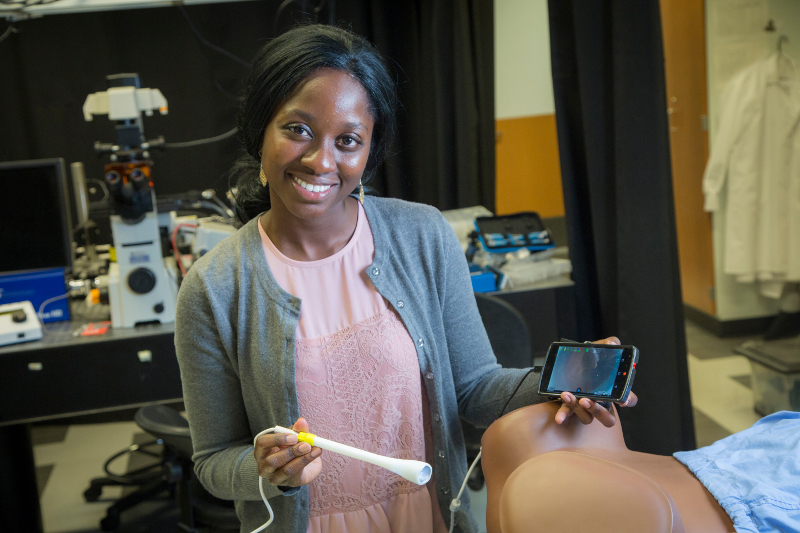 Health providers—or even women themselves—are able to capture images of the cervix using the rounded tip of the device to manipulate its position if necessary. The device also includes a channel through which contrast agents used for the cervical cancer screening procedure can be applied.